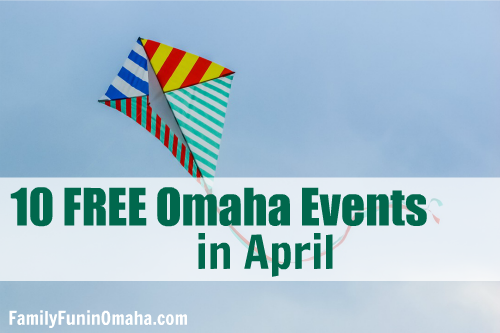 Enjoy many family-friendly events coming up in Omaha, including these 10+ FREE Events in April! Enjoy Easter Egg Hunts, Circus Night, YMCA Healthy Kids Day, Nebraska SciFest Expo at The Durham Museum, and much more! 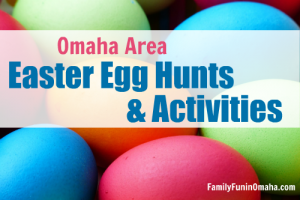 Choose from 35+ Easter Egg Hunts and Activities in the Omaha Area! Many are FREE! The Nebraska Science Festival is a multi-day celebration designed to make science fun for kids and adults alike. 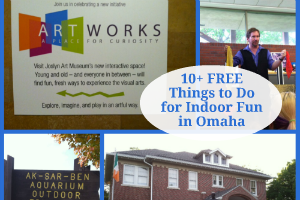 Enjoy a wide variety of events for all ages (many with FREE or Discounted admission) at Omaha Public Libraries, Do Space, Star Party at Branched Oak Observatory, and more. Find out more about these events here! 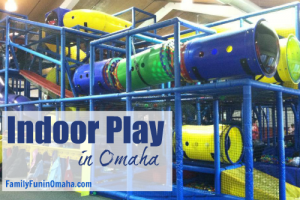 Museum visitors are encouraged to swing, slide, and explore Playground, commissioned for Opera Omaha’s ONE Festival. Location: Joslyn Art Museum, 2200 Dodge St., Omaha, NE. Biscuit visits various branches for a special storytime. Check the link for dates and times. Location: CHI Health Center Omaha, 455 N. 10th St., Omaha, NE. Enjoy a night of circus-inspired activities and fun with the Tangier Shrine Clowns, the Keystone Kops, a juggling workshop, and more. Kids Workshops at Home Depot: Saturday, Apr. 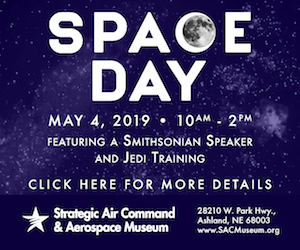 6 (9 a.m. – 12 p.m.); Registration encouraged. Kids can build, paint and decorate a birdhouse, while supplies last. Activities encompass a variety of science disciplines including physics, chemistry and biology. Learn the scientific method and employ it during many great experiments! Location: Metropolitan Community College – South Omaha Campus, 2909 Edward Babe Gomez Ave., Ste A, Omaha, NE. Meet and greet eight exciting friends in this character extravaganza, with special storytimes throughout the day. All children attending will receive their own book. 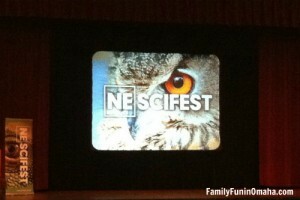 Enjoy many exciting NE SciFest events including STEM activities, slime, special storytimes, and more. Participate in a seed planting activity with Tinkergarden. Join in a morning hike to help clean up Hummel Park for the Spring. Learn about the flora and fauna at Hummel and why it is important to do our part to help keep nature beautiful and thriving. 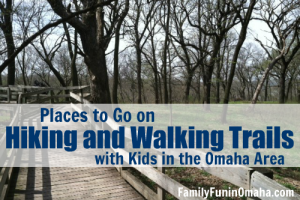 Location: Hummel Park Nature Center, 3033 Hummel Park Rd., Omaha. 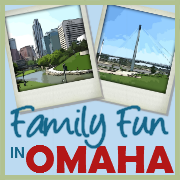 Spark your creative and engineering sides as you learn how you can “make” in Omaha. Location: Do Space, 7205 Dodge St., Omaha, NE. The free event features exhibit booths, children’s activities, demonstrations and short speaker sessions. Find more events celebrating Earth Day and Arbor Day here! Celebrate National Kite Month by using STEM skills to create your very own kite. Use commonly found household items to construct a kite, then, weather permitting, go outside and test your flying abilities. Location: 2808 Q St., Omaha, NE. Florence Branch is opening its closet of craft items for you to come and create your own craft. Ages 3-8 are welcome to attend. Adult help required for ages 3-6. Location: 2920 Bondesson St., Omaha NE. Boys and girls ages 7-14 are invited to participate in Pitch, Hit and Run. Registration is FREE and must be done online. The Jr. Home Run Derby is open to boys and girls ages 14 and under. Participants will compete in one of two ages groups (12U or 14U) to test their hitting skills and power. Registration is FREE and can only be done in person the day of the event. Location: La Vista Sports Complex, 7346 S. 66th St., La Vista, NE. Students from Norris and UNO will be giving a tour “around the world” with educational activities and games representing the diverse culture of the South Omaha Community. Refreshments and one free book for children, while supplies last, will be available. 800-Meter Kids’ Race with UNO Student-Athletes. Registration for kids ages 5-12 years in the Kids’ Race/Kids’ Activities is FREE (Includes t-shirt, race bib and free admission to Kids’ Activities). Learn to make DIY Lollipops and Shrinky Dinks. Location: 13214 Westwood Ln., Omaha, NE. Celebrate Children’s Day with a variety of events. Bring a friend and relax with some hair chalk, nail art, and sparkly tattoos! Participate in fun and engaging hands-on learning opportunities. Download the FREE expo ticket here! 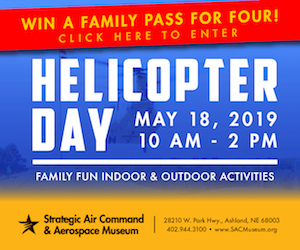 Hands-on activities, music & dance, free books, games, and much more! Location: El Museo Latino, 25th & L, Omaha, NE. Art demonstrations (bronze pouring, clay work and raku firings, iron forging, and glass blowing), food and live music, with most residents of the Hot Shops opening their studios to the public. Location: 1301 Nicholas St., just one block north of TD Ameritrade Park’s home plate. Catboy is ready to show off his superhero dance moves and wants you to come help him celebrate National Super Hero Day with a bubble dance party fit for only the best super ninjas around! 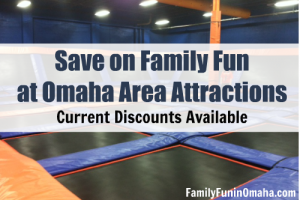 Tons of family fun activities, including inflatables, Zumba, mascot races, obstacle courses, and more! Free kid’s bike helmets, while supplies last, and the first 1500 kids through the door will receive a bag of goodies! Location: Stinson Park in Aksarben Village, 2285 S. 67th St., Omaha, NE. The Celebration & Expo will feature fun and educational environmentally-friendly activities, with a highlight on the environmental efforts in our community. Location: Lied Activity Center, 2700 Arboretum Dr., Bellevue, NE. 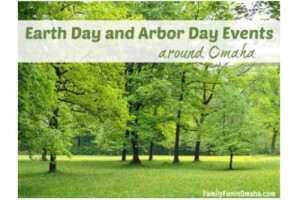 ** See more Earth Day and Arbor Day Events here including Arbor Day Weekend in Nebraska City!